Very appealing to the senses; especially, to the taste or smell. 1. In civil and criminal law, a wrong or injury done to someone. 2. A legal offense; a misdemeanor. 3. An offense or transgression against the law. 4. Etymology: from Latin delictum, "fault, offense, transgression"; a form of delinquere, "to fail, to be lacking, to transgress, to offend"; from de and linquere, "to leave". 1. Juvenile delinquency is an antisocial misdeed in violation of the law by a minor. 2. Antisocial or illegal behavior or acts; especially, by young people. 3. A tendency to be negligent and uncaring: Peter inherited his delinquency from his father. 4. A failure in or the neglect of duty or obligation; dereliction; default; such as, a debt, that is past due: Sharon was accused of delinquency in payment of her car payment. 5. Any misdeed, offense, or misdemeanor: Delinquency is the failure of any kind to perform a required duty or obligation. 1. Failing to do what the law or duty requires. 2. Overdue in payment; such as, a delinquent account. 3. A person who neglects or fails to do what the law or duty requires: A delinquent leaves off doing what he or she ought to do; such as, delinquent debtors leave their bills unpaid. 4. 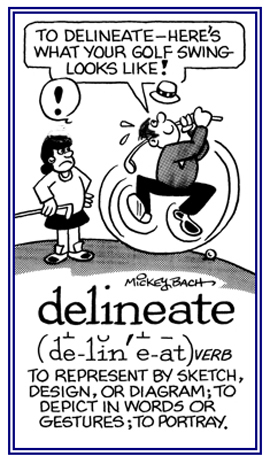 Etymology: from the late 15th century, from Middle French délinquant, délinquer, and directly from Latin delinquentum and delinquens, forms of delinquere, "to fail; to be wanting, to fall short; to offend"; from de-, "completely" + linquere, "to leave". 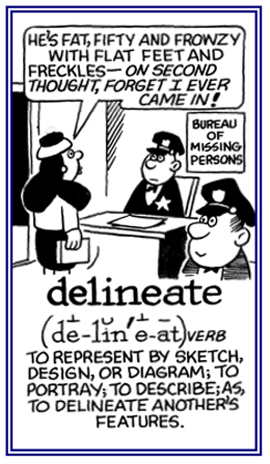 Relating to, or characteristic of a delinquent. 1. A poison which occasions a persistent delirium, or mental aberration; such as, belladonna. 2. Capable of producing delirium. 3. A drug which may produce delirium. 1. Producing, or tending to produce, delirium. 2. Any substance which tends to cause delirium. Showing page 23 out of 44 pages of 646 main-word entries or main-word-entry groups.